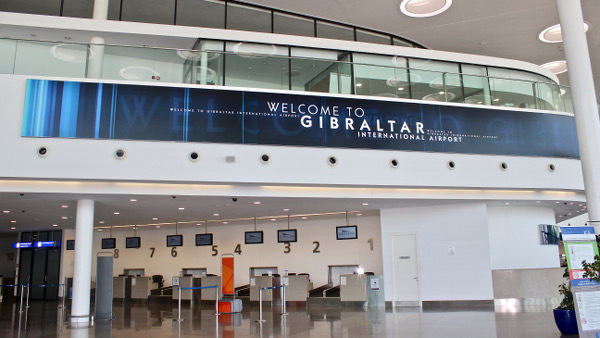 Gibraltar Airport is located 2km from Gibraltar centre, there are regular buses from Gibraltar centre to the Airport or Taxi service. The Rock of Gibraltar provides a magnificent backdrop for the Gibraltar Airport runway which actually lies across the road out of Gibraltar, so traffic has to be stopped for each plane landing. If travelling into Spain it is only a short walk from Gibraltar Terminal to the Spanish side of La Linea. Gibraltar is at the very end of the Costa del Sol region, just a few kms from the African coast. Travelling by rented car from Gibraltar to Estepona will take 30 minutes and 15 minutes more for those travelling to Marbella. We compare car hire prices in Gibraltar from all the leading car hire companies Autos Aguirre & Avis, Gold car and Europcar are on the Spanish side. We provide Car Hire Off Gibraltar Airport which works out at approximately 25% cheaper then at the Airport. For the cheaper option you will need to cross the border to La Linea in Spain. This will take between 7 and 10 minutes to walk. 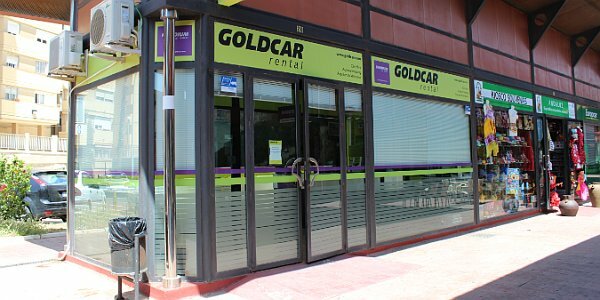 You can rent a car in Gibraltar Airport Terminal or if you prefer you can walk across the border to the Spanish side and rent in La Linea. Driving Directions to Gibraltar Airport Coming from Spain Follow the directions for La Linea and then cross the border into Gibraltar. 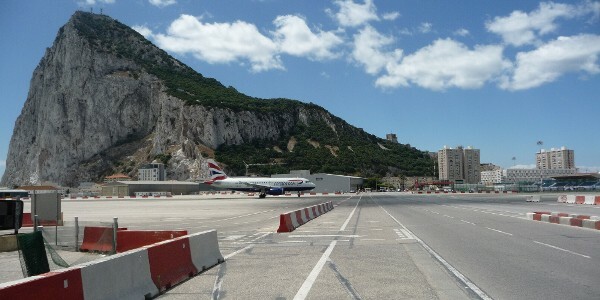 The new airport is on your left as you enter Gibraltar. Car Parking: Long and Short Term Parking Facilities available. Bus service: Bus service: Gibraltar Bus go around Gibraltar. Car Hire: Car rental desks are at the far end of the building after you exit the secure area. Must see attractions: The first stop for any visitor to Gibraltar is the Rock of Gibraltar to say hello to the barbary apes and photograph the stunning views. For the best possible rock experience, travel to the top via hire car or the cable car, visit the caves, and then walk all the way down. At the bottom, wander through the lovely botanic gardens and maybe take in a movie at the nearby cinema. For an unusual experience, but one of the most memorable, head towards the airport to watch a plane take off or land on the main street. 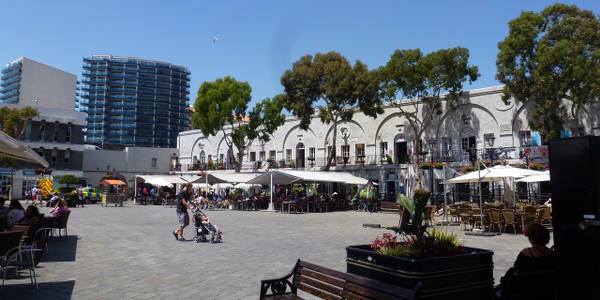 Casemates Square is a hub of activity for food, drink and conversation, with a multitude of bars and restaurants open day and night. Make sure you visit the tiny glassblowing museum on the square, and head up the steps on either end of the parade to check out the local craft shops. Definitely take advantage of some shopping opportunities in Gibraltar because cigarettes, alcohol and top of the range toiletries and perfumes are tax-free. If you want to try local food, ask for the breakfast calentita and the pastry-free spinach pie. Visit the mosque at Europa Point – the far end of Gibraltar, overlooking Africa – and if you want to go to a beach, try heading to the old-fashioned but lovely Caletta hotel. Alternatively, head to the swim and sunbathing complex of Camp Bay in the South West – particularly good for families – or walk over the border onto Spanish soil and head right, following the road until you come to a long stretch of sandy beach, popular with locals as well as tourists. For after-hours entertainment, try the new marina area, or head over the border to sample some excellent Argentinian steak and Spanish tapas. With Gibraltar car hire, Gibraltar becomes the ideal base location for a driving tour of southern Spain. Gibraltar offers a low cost Gibraltar Car Hire service that allows you to drive to a wide selection of superb cities in Andalusia and along the Costa Del Sol including Seville, Marbella and Malaga. Gibraltar's duty-free status makes it a shopping nirvana for many. Gibraltar boasts a good range of internationally recognized chain stores and labels as well as smaller local stores and products. CDs and music, designer shades, electric goods, gadgets and gizmos, watches and jewellery, perfumes, spirits and cigarettes are just some of the tax-free bargains on offer to tourists. Gibraltar is home to Europe?s only colony of wild indigenous ape species, the Barbary ape. In all accuracy, the primates are not in fact apes but macaque monkeys without their tails ? either way, a visit to the ?Ape?s Den? is a wonderful attraction that offers some great photo opportunities and an interesting day out. St. Michael's Cave is another fantastic Gibraltar attraction. Part of a series of series of interlinked caves, St. Michael?s is particularly known for its magnificent stalagmites and stalactites and is used today for concerts and ballet performances. 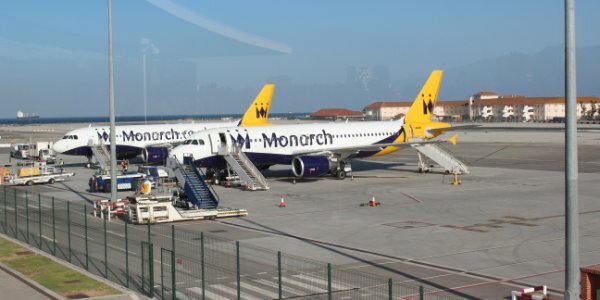 City Car Rentals Gibraltar offers you the best online prices for Gibraltar Car Hire, guaranteed, so you can get on the road for less when you travel to Gibraltar. The waters surrounding Gibraltar offer superb scuba diving conditions, with great scope for underwater exploration. Over 30 shipwrecks, colourful reefs and a rich marine life present divers with a fantastic dive experience, and there are a number of great dive schools offering one-off dives as well as PADI and other internationally recognized dive courses. 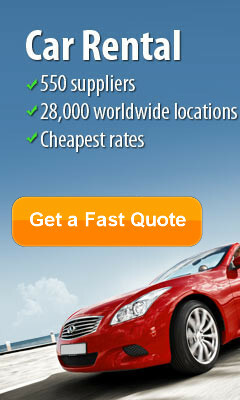 Splash out in Gibraltar with cheap Gibraltar car hire. 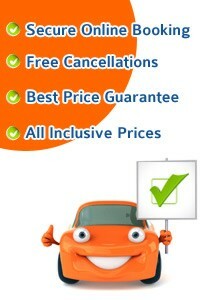 Book online in just a few clicks to get the lowest Gibraltar Car Hire prices online with City Car Rentals Gibraltar. A large selection of shopping outlets are available in Gibraltar's Main Street and adjoining laneways and side streets. Shops are open Monday to Friday 9.00 a.m. to 7.30 p.m Most shops close for half day on Saturdays and all day Sunday but a small few remain open. AC La Linea located on the promenade of La Línea de la Concepción, this hotel is only 15 minutes from Sotogrande and 1 km from the city centre of Gibraltar. Relax with friends or colleagues in the comfortable AC Lounge. There is also a smart restaurant on site, allowing you to dine in style without leaving the hotel. The hotel enjoys excellent public transport connections, with the city centre only 1 km away. Asur Hotel Campo De Gibraltar This hotel is situated beside Reina Sofia Park, 500 metres from the frontier with Gibraltar. It offers air-conditioned rooms with a balcony, and has an outdoor pool and sun terrace. Asur Hotel Campo De Gibraltar is within a 30-minute drive of Alcaidesa Golf Club and Sotogrande Golf Club. Rooms at the Campo de Gibraltar are bright and colourful. They have satellite TV, a safe and a minibar. The modern bathrooms are equipped with a shower. - Nicky Lawlor / London.